D. J. Herda - Welcome Aboard! 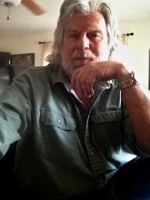 Award-winning author D. J. Herda, a long-time member of the prestigious Author's Guild, has announced his limited availability to mentor new and upcoming fiction and nonfiction authors. If you're an author with a book awaiting a publisher, take advantage of his offer for a complementary analysis of your work. After that, Mr. Herda may be available to oversee your book's professional revision with complete editing and immersive book doctoring while maintaining your literary voice; format and prepare your book for submission according to industry standards; arrange for your introduction to a reputable literary agency; and support your new agent's marketing efforts until the book is sold to and published by a conventional advance-paying publisher. This is an extremely rare opportunity for both first-book and experienced authors. All applicants must be devoted to their writing craft and have the enthusiasm necessary to become a successful, conventionally published author. Here's what you can expect in return. •	Ghostwriting. One of the most experienced long-form ghostwriters in the business, this ninety-book author is comfortable with both fiction and nonfiction and can work from any form of original source material. Herda can also research and write from scratch on virtually any topic you choose. •	Editing. From developmental (conceptual) and substantive (structural) to line editing and everything in between, Herda's years of experience as an award-winning author as well as an accomplished editor of books, articles, and newspapers give him the know-how to take a rough manuscript and turn it into a “publication-ready” work of art, guaranteed. •	Book and Script Doctoring. If your book or script is complete but needs some tweaking or gaps filled in--or if it requires some serious punching up, cleaning up, and polishing--Herda is experienced in both fiction and nonfiction books plus television scripts/treatments and full-length feature-film screenplays. •	Mentoring. After years as a college-level instructor and founder of Creative Writing Workshop, Herda can read your book or script and analyze its strong points and weaknesses so you no longer have to guess. Once you know what your property needs to succeed, you'll be on your way to your next step. If you have the talent, confidence, and experience to do the revisions yourself, Herda will help guide you toward understanding what needs to be done and how to do it. •	What Will It Cost? The rates for professional intervention vary, depending upon the amount of work required and the time estimated to complete it. In order to learn more, contact the author via the "Contact" tab on the menu above. Please keep in mind that Mr. Herda can take on only a few select projects a year himself. He offers a wide range of personally tailored plans to suit nearly every budget. And he guarantees his work and your satisfaction. If he feels a project isn't right for his advanced level of expertise, he can recommend other proven professional editors/authors whom he has mentored and with whom he has worked over the years--from former top publishing-industry editors and book doctors to current publishers/editors/writers. "Every day of my life," Herda says, "I see dozens of top-notch stories by devoted newbie authors fall by the wayside. My goal at this stage of my career is to help as many of them as possible get their works published by a conventional advance-paying house. If you believe in your work, as well as in yourself, let's get together to see just how far we can go." So, if you need professional guidance in order to take that critical next step in your literary career, contact D. J. Herda via the "Contact" tab above and let him help make it happen.